Just got back from Wooster... to a sunny day by Valentine. I had a wonderful time at the College of Wooster, in Ohio. 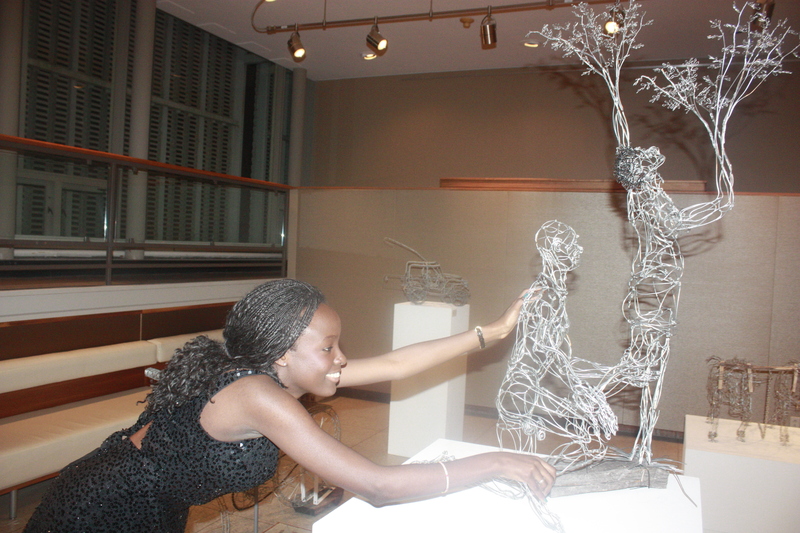 I put up a small show at the Gault Library - just wire sculptures, as an African artist. No theme. I stuck to figures and wire cars. For some reason, I did not show trees. I was amazed how people did not come out with favorites, although Tango with Bango, on it's first public exhibit, had a slight edge. It's quite a dynamite, really. Small and explosive. Maybe it was because of the mood, upon the eve of Valentine's. I met wonderful people! Amazing, especially the feeling that I have known their souls for a lifetime. All that happened was add names and faces. I am already forgetting the names. Soon, I will forget the faces. But the heart and souls, I will always remember. But for Sam Kitara and the amazing, hardworking Ngozi Cole, all face, name, and heart will remain intact, sealed by the new friendship. You made this happen, I am very grateful. 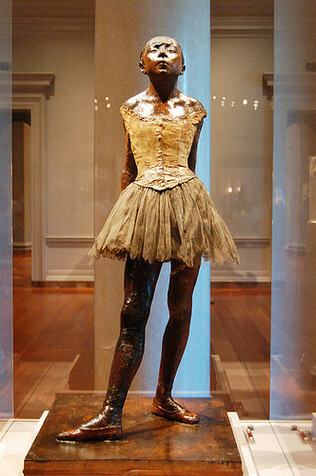 I am always fascinated by dancers. To me, dancing is one of the most beautiful, primitive and raw expression of the mechanics of the figure, as driven by the emotional state of being. 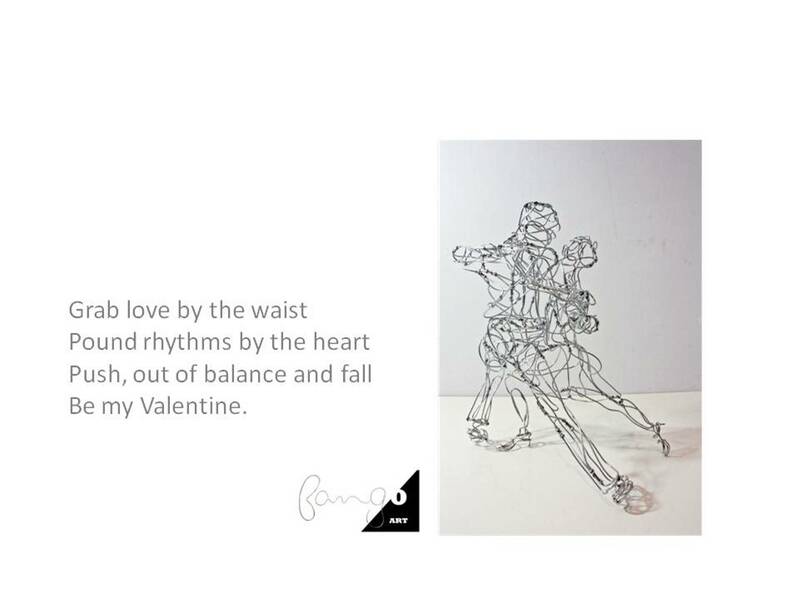 The fact that the viewer must move around my wire sculptures to get the complete view adds a sense of choreography, and the sensual curves that the lines weave in thin air suspends the sculpture in active motion. I am very excited to explore this series and I have enjoyed the studies so far. 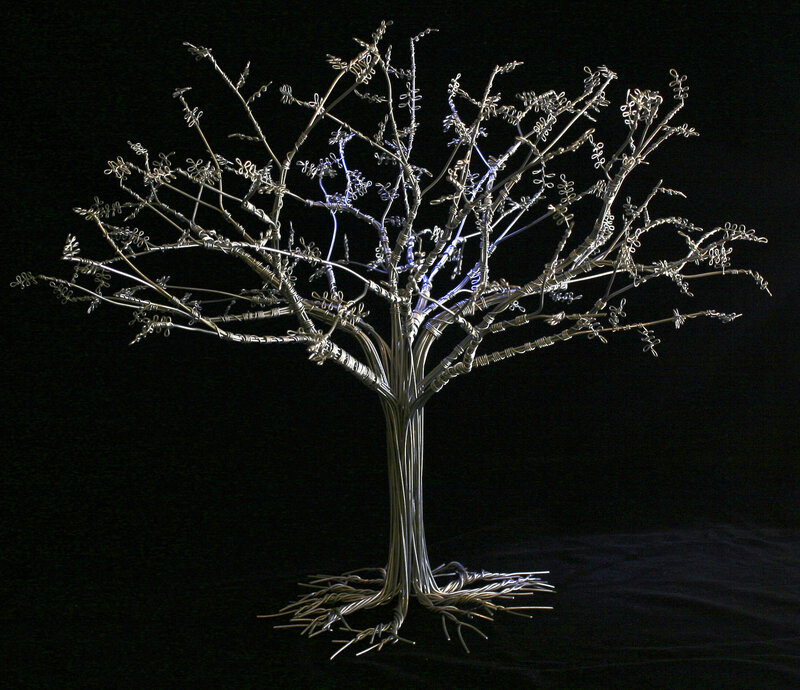 The latest wire sculpture was unveiled at the opening reception of Playing Grown Up, now showing at Wellesley College until October 28th. Sylvia could not keep hands off. 'I am playing grown up,' she said. Clyde Bangoâs intricately woven wire frames can be loosely described as line drawing in free space, but they represent much more. The hand-made sculptures evolved from the artistâs childhood experiences of crafting toy cars out of recycled wire in Harare, Zimbabwe. 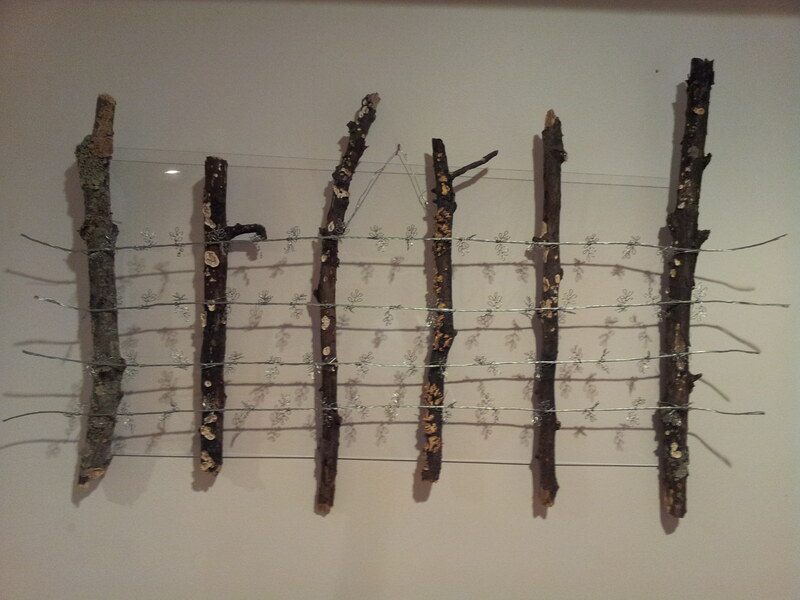 Bangoâs artwork represent adamant resilience to growing up yet accepts the responsibilities and challenges that inevitably come with being grown up. The themes are very personal and often political. 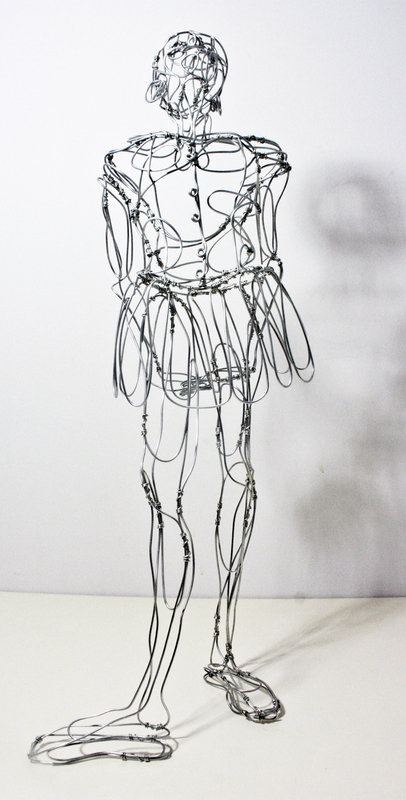 Subjects are derived from memories, art history and current affairs, and they showcase a range of innovative techniques that address surface modeling, abstract geometry and rendering of micro detail with steel wire. When the final product emerges, it is stripped of all the coldness of steel but luscious with life, spacious in volume, and in some cases captured in motion. 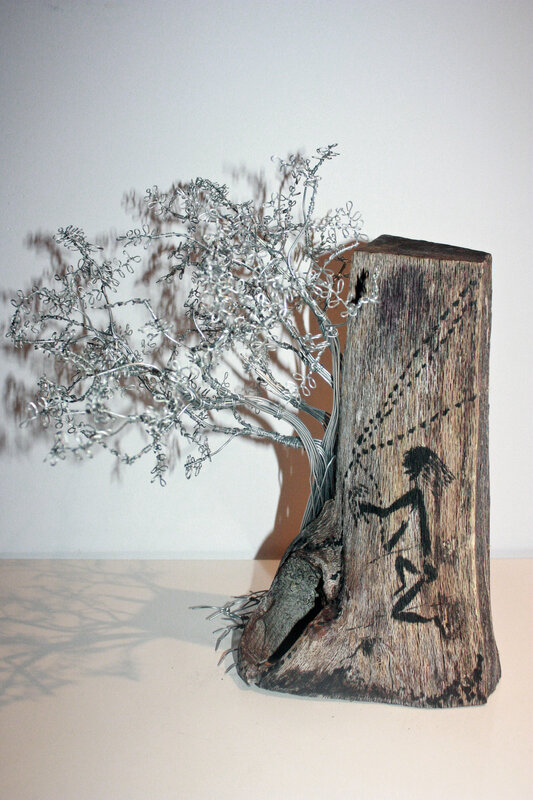 Bango is a young artist seeking to make his mark as a contemporary African artist. I smile, trying to buy a moment to think of a sophisticated answer. I ramble about the time it takes me to think about the concept, layout the proportions, and how I work on multiple pieces at the same time... but usually get away without a straight answer. I make sure itâs a true answer, nonetheless. It's quite a painstaking process placing every leaf on the trees, but then I try to downplay the magnitude. I mean, seriously, do I have a social life? However, Itâs all fundamental to why I do it in the first place. I graduated from Bates College in 2011. I had no job offer - partly because I had no idea what I really wanted to do, mostly because I did not have a lot of choices. I am from Zimbabwe, so you could say why not go home and figure it out. You see, Zimbabwe is a longer story, and going back appeared the more complicated decision at the time. Itâs supposed to make sense because all my family is back home. But if you consider the fact that my parents only have a vague idea of what I studied in college or what it means, you might get a feel of my predicament. All they know is that I should be a doctor by now. So I looked for a job. First and second months were fun. I drafted cover letters and corresponded with close calls. I got regret email after regret, and even had two opportunities where I actually got the offer but they rescinded because suddenly the job was no more available. Itâs easy to assume that I was the only one going through this, given my background and limited network. However, I understood that a lot of recent graduates faced the same frustrations. The only difference was that I did not have close family to run to, or room to move back into. I was on my own, and responsibilities were piling on fast. I fell back to what I do best. Play. I made artwork just to take my mind off the uncertainty. To some extent, I wanted to protect myself by keeping to happy thoughts. Itâs always been my defense mechanism since growing up. 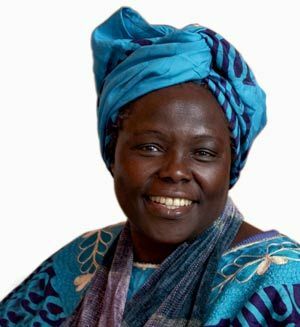 As I begin to understand how the world works, I struggle to accept whether the challenges, dysfunctions and disparities should be reflected in my largely innocent work. I could easily use my identity as the excuse. But a question lingers; do I have to grow up? Six months without a real job, yet all I did was play. I produced a lot artwork and laid down concepts for a lot more to come. I finally got a great job at Dana Farber Cancer Institute, but still, I could not stop working. My artwork is personal. I embed secrets within every piece. Some show this clearer than others, but it means a lot when a viewer can relate to any part of my story. My work ethic takes in everything Iâve got, and I canât measure it by the time I put down. Itâs hard to say anyway because my pieces are never completed, even when they are finished. So, when you ask me how long it takes me to make the sculptures, you should be ready to sit down for a coffee because I could use a break. "Here's to the fences we pulled down"
...while this is personal atonement for the literal fences we destroyed as kids to get wires to make toys, it celebrates fences that all of us took down because they kept us out or locked in. Fences that formed boundaries to segregate people by ethnicity, color, gender, class, religion, politics and even the length of our nose! May we conquer the fear to strip down more fences. Even with the bruises, cuts and prickles on our thumbs and pinkies, we'll patch up and shout, it was worth it! During the school holidays, my siblings and I stayed with my grandparents in the village along with a dozen of my cousins. One day, when the adults were away like always, the boys dared the girls to climb avocado trees. However, climbing up was not the ultimate challenge. You see, my grandfather kept some of his beehives high up in the trees. In essence, the challenge was climbing down fast enough to flee from angry bees once we agitated them. While the girls daringly climbed, we threw stones to disturb the bees. (In my defense, I was around 10 years old). The girls teased us when the first few stones missed the targets. But over time, we dented the metal tin cans pretty bad! Lucky enough, the girls got down before there were serious injuries, considering swarms of bees can be lethal. I am pretty sure we laughed our lungs out as one of my cousins wailed with a swollen eyelid. Meanwhile, the bees got real angry! They swarmed around the yard stinging all the farm animals. At first, we laughed as the bees tormented chicken and helpless goats that were secured to a grazing radius by long ropes fastened to trees. We were really impressed by the smart and agile guinea fowls, while silly chicken ran around in circles pretending to fly but only attracting more attention from the bees. The sheep just stood still. We assumed their wool protected them. Just to confirm that the boys were probably more stupid than the chicken, we ran to hide in my grandmother's bedroom (house) and decided to lock out the girls. It was fun when they were banging on the door hysterical to come in. But when one goat that broke free from the rope came to seek refuge on the veranda with a thick cloud of bees hovering above its head, we realized the gravity of our mischief. The girls ran away and we knew we were in trouble. Bees came into the house via the broken windows and punished the boys severely. We got stung all over the body. There was no foreseeable way to sneak out of the house with swarms of bees claiming the whole yard. We got really scared. Four of us squeezed into the wardrobe, while the other one covered himself with sheets on my grandma's bed. We stayed in hiding for about 3-4 hours, while the bees continued to cause havoc around the farm. We made all kinds of prayers and vows that we will never ever ever cause trouble ever again! My grandparents were really worried when they got back. Anyway, they never got the full story. The girls were more scared about explaining why they were climbing trees in the first place, so they did not tell tales. Besides, there was a firm code of silence among my cousins since the adults spend more time away than they could protect any telltale 24/7. My grandma insisted that all the beehives around the homestead got took down. She reiterated how much she had mentioned countless times to deaf ears that the beehives should be kept away from the farm. Despite the fact that grandma was always right, my grandpa just smiled because he was probably too drunk to argue. That evening, a famous bee hunter came and smoked away the bees, shirtless! From a kid's perspective, the story actually had a happy ending. Unfortunately, a number of sheep were fatally stung in the eyes, nose and ears and the few that survived could not feed for days. Two goats died and several chicken were subsequently slaughtered, so that meant a lot of meat for the rest of the school vacation! The grandparents pampered and nursed the stung kids. They were just happy no one was seriously injured. Most of all, we had the coolest story to tell once we got back to school in the city. The Beehunter (2012) is a tribute to the shirtless beehunter who came to harvest all of my grandfatherâs beehives by the night and smoked away the bees from the farm. The ink drawings reference Zimbabwe cave paintings that depict hunters and gatherers, including traditional bee-hunters. Beekeeping is still prominent in Zimbabwe where the locals fuse traditional and modern practices. It is whispered that some spiritual beekeepers can summon bees to punish certain wrongdoers. I am usually skeptical about such myths, but after my experience with the bees, I wonât take any chances! Thanks to Paula and Peter Schlax who brought about the conversation through their passion and expertise in all things beekeeping, and for sharing some honey! 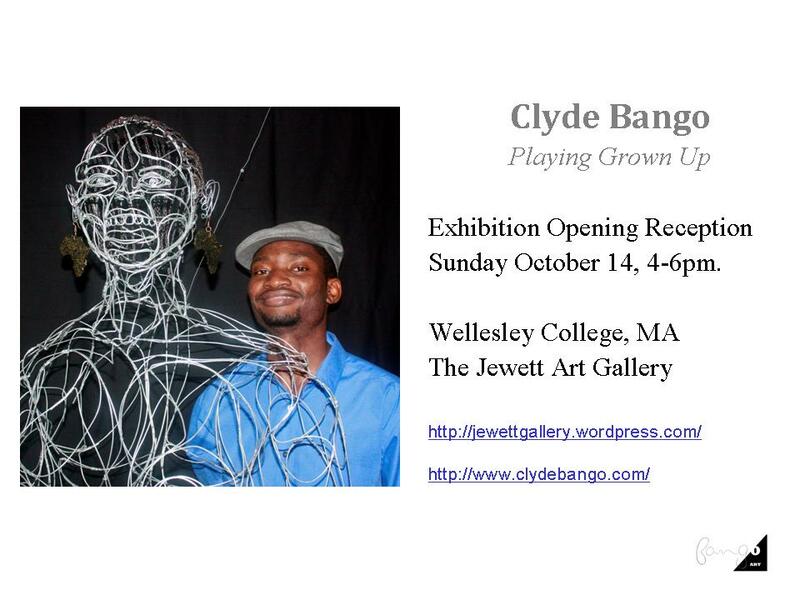 Brooke Morse-Karzen '12 of Wilmette, Ill., portrays studio art major Clyde Bango '11 as he prepares his yearlong thesis project for the Annual Senior Exhibition in the Bates College Museum of Art. 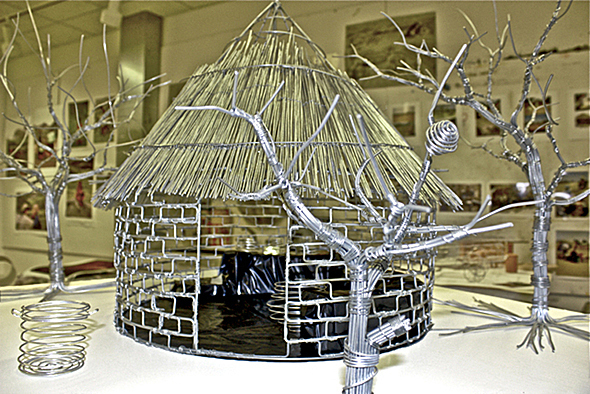 Bango makes wire models inspired by the traditional huts in his native Zimbabwe's rural areas. Clyde Bango: "Under the Tree"
The Museum of African Art and Culture in the heart of the Portland, Maine Art District showed the work of Zimbabwean artist Clyde Bango in the Fall of 2011 and into early 2012. The opening of the show âPasi Pemuti, Under the Tree,â was just months after the young artist had graduated from Bates College in Lewiston Maine with a double major in Biochemistry and Visual Arts. Pasi PeMuti "Under The Tree"
"It's the little things citizens do. That's what will make the difference. My little thing is planting trees."